We hope you're enjoying this summer weekend and make some time to read. This Saturday we are one of today's stops on the Indelible Blog Tour hosted by AToMR tours. We have our review and a tour-wide giveaway. After a year of partying, Samantha decides to buckle down and focus on college. Things are going great until a one-night stand leaves her pregnant and alone. Raising a child while going to school isn’t easy, but Sam is determined to be strong for her daughter. She doesn’t have time for guys or relationships, and takes great care to protect her child and her heart. 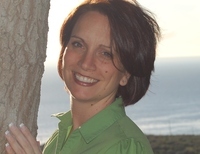 Author Bethany Lopez is so good at giving readers quick, satisfying and touching love stories. 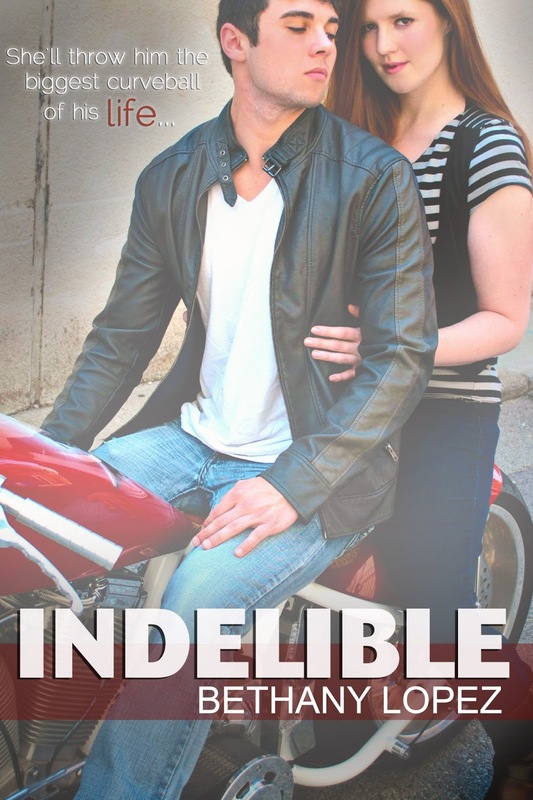 In her latest book, Indelible, a New Adult contemporary romance, we meet Samantha. She's now a senior in college who aspires to teach art when she graduates. When she was a freshman she partied too much and let her grades slip. Waking up, she changed in time for sophomore year, but a hook-up at a frat party resulted in a pregnancy. Now she's a single parent to an adorable toddler named Karrie and trying her hardest to do what's right for her daughter and for herself. No boyfriends. No intimacy. No chance at getting pregnant again. Sam is playing it safe. Invited out one night by her girlfriend, James, Sam meets Judd. He's hot, has a killer smile and pushes Sam's buttons. But her number one priority is Karrie. I applaud Bethany Lopez for giving readers a heroine who is different--a single mom who believes her daughter is the most important thing in her life. It was also refreshing to see Sam have nice parents, a normal childhood, and is an all-around wonderful person. Sam changed when her one night stand refused to acknowledge his baby or his parental role. His response to keep him out of the baby's life was extremely cold and this is what resulted in Sam closing herself off to guys. Until Judd. His inviting smile and good looks attract Sam, but she treats him in a reserved manner. She has to. Told in dual points-of-view, we fully understand and see what Sam and Judd are going through and how they feel about each other. Judd is smitten by Sam's looks and her smile. He even likes how she's not forthcoming with her information. He has to meet her at the coffee shop on campus to ask her out. I truly understood where Sam was coming from. She has a close network of friends from Molly and her husband to classmate James. Sam's parents live forty-five minutes away and help out with Karrie for one weekend a month. Otherwise, Sam is the one raising Karrie, finishing school and working. Judd makes her feel again but she doesn't reveal information about her herself so soon. Judd is also dealing with his alcoholic widowed father, working, playing baseball and finishing up his last year of college. He doesn't date. He has hook-ups. Something about Sam makes him change his mind as he pursues the redhead with a beautiful smile. I liked both characters and was glad to read their individual perspectives. Even though I felt they connected too quickly, I fully understood Sam needed to be with someone and there is such a thing as instant chemistry. Sam is selfless and still honestly portrayed. Her scene with Karrie in a full-blown temper tantrum grabbed me as a parent. Two year olds are prone to 'losing it' for no reason (also exemplified in the supermarket scene--another scene I've experienced). Sam tried her best to calm her daughter down but had to leave the room to collect her sanity. Any parent understands that. I also liked how Sam would fight with herself to not show emotion when Judd did nice things which touched her. She was protecting her heart. Sam is strong and the scene where Judd's dad tells her this was poignant. Judd is great. He's also honest and changes when his heart is stolen by a pretty redhead. His voice sounded older to me at times but I later understood why he was that way when he finally opened up to Sam about his childhood and his subsequent growing up quickly. I read Indelible in one sitting, totally engrossed by Sam's independence, her dedication to her child and Judd's increasing love for both of the females in his life. I connected with both, found their story realistic and refreshing, and ended my reading with a smile on my face. I like it. Both characters appear the way they were described and Judd's bike played a prominent role in the story. I received a promotional copy in return for my honest review during a book tour. I'm so happy you connected with the characters! It sounds like a different type of new adult story. The review really had me intrigued about these characters. I love the storyline and it sounds very real. I do have to disagree with you about how Judd is portrayed on the cover, unless his tattoos and long hair are just hidden. Thank you for the giveaway!